We are prominent Angelica Root Oil Manufacturer and Exporter. The Angelica Root Oil is cultivated in India and Europe. 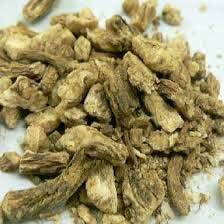 Processed through steam distillation process, Angelica Root Oil is highly useful in confectionaries. The Angelica Root Oil is soluble in Alcohols, Essential Oils and insoluble in water. We provide the Angelica Root Oil in different packaging to meet the specific requirements of the clients. Aromatherapy Uses : It is highly used in Cold and Cough diseases.